At the fence line at the back of my property there was a row of 15 cedar trees which were about 12 feet high and all dead, so I removed them. 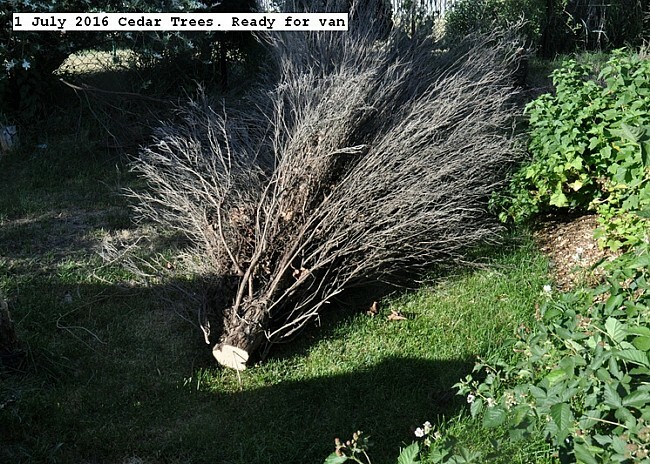 Each tree was cut and pulled to the front of the property and loaded into the back of the van and taken to the landfill at cost of $10.00 per load. Thirteen trips were required about a load per tree. 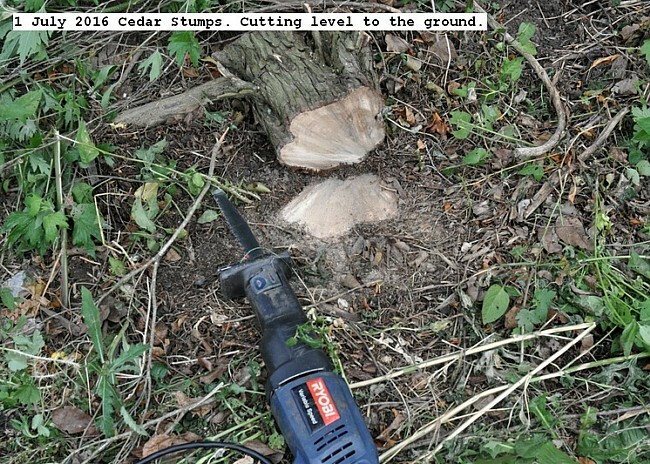 The stumps will be cut to ground level and allowed to rot over time. The trees were small and on the property when I moved in about 14 years ago. They died over the last two years due to drought and possibly a severe Winter. I cut the trees with a reciprocating electric saw. It took me about four days to complete the task with much expenditure of labour. 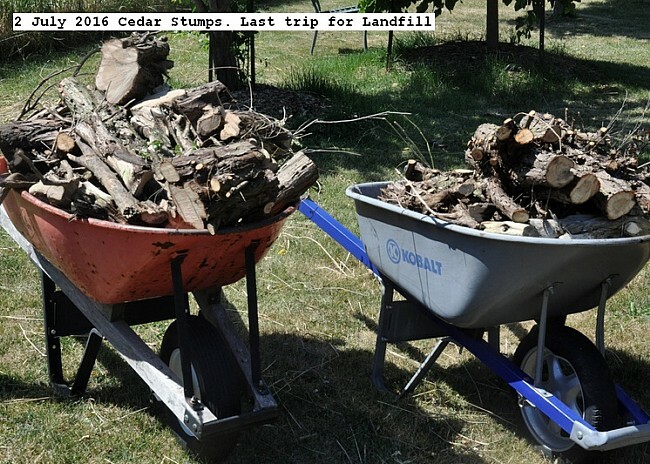 I cut ten stumps off to ground level to facilitate weed whacking and cutting grass in the area. There are 14 more to cut, which I will do tomorrow. It is debilitating work on hands and knees. The reciprocating saw is a great tool and the blades seem to last forever without getting perceptually dull. Completed the job. One last trip to the landfill to dispose of the roots.